It’s amazing isn’t it? One four hour train ride from Manchester to London changed so many lives. I’m sure when Jo Rowling first conceived of Harry Potter, she had no idea what she was getting herself into. Who could? The world before Harry was a wasteland for young adult fiction. Sure, there were a few moderate successes. Doctor Seuss and J.R.R Tolkien will walk with Rowling throughout history. C.S. Lewis certainly made an impact and who could ever forget Charlotte’s Web? Yet despite these significant and equally beautiful contributions, no children’s book before or since has had the impact of Harry Potter but Harry didn’t limit his reach to just children’s books. He also introduced a new world of readers to fantasy and magic. Many faced the tragic pain of losing someone you care about through Harry. It was Harry who showed many youngsters that everyone has just a little tinge of darkness within them. It was Harry who showed them the wonder of imagination. “How did Harry Potter change your life?” I once asked my wife, a rabid Potterhead. “It didn’t, I’m still the same,” She quickly replied without thinking. I glanced around at our office, which she has attempted to turn into a replica of the Gryffindor common room. It’s that way for so many readers. I can tell you as an author of Horror and Science Fiction, I would never have envisioned myself writing children’s fiction. 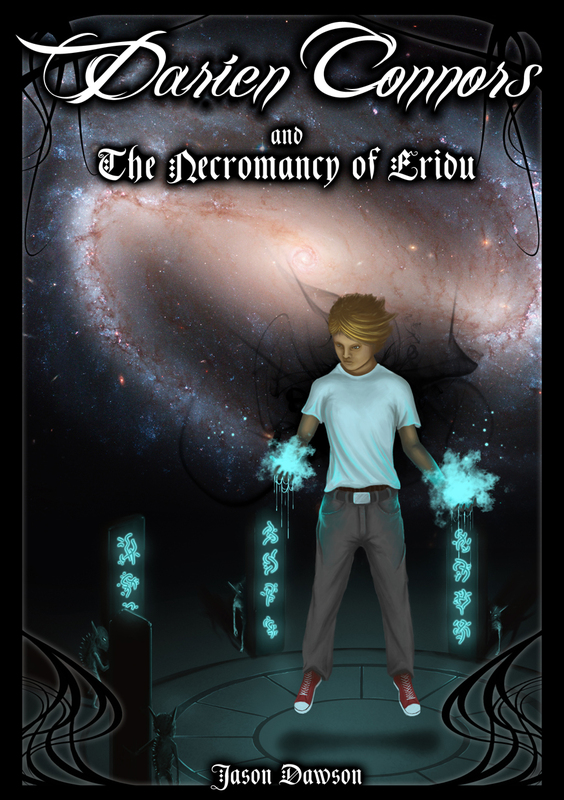 I began writing Darien Connors and the Necromancy of Eridu (written under the name Jason Dawson, only 99 cents on Amazon Kindle and wherever e-books are sold) because I needed something to fill the void left by Harry’s massive shadow. Jo’s ability to build worlds and breathe life into characters inspired me to create my own magical world, my own hero dealing with original stories of discovery and pain. I know I can never create a world like Jo has, she’s a once in a lifetime author. My work isn’t the only impact. Before Harry, I don’t think there would be much buzz for Percy Jackson or Artemis Fowl. Eragon certainly wouldn’t have developed the following it has. Would Twilight even have been allowed to see the light of day if not for Harry? Okay, we’ll forgive the boy who lived for that one. So many worlds have come alive for millions of readers thanks to Harry’s impact. Will it last? Well, I’ve had a sneek peak and Pottermore certainly gives life to the Big Three and immerses the fans deeper into the the nirvana of the Potter world. Still, it’s not like a new book. There’s a big wide hole in the hearts of every Potter fan that the countless number of hours playing around on Pottermore simply won’t fill. Jo has to do another book, right? Maybe not – she ended everything pretty well. Maybe there’s not much more to say about Harry and his friends. They defeated What’s His Face and that’s that (sorry for the spoiler if you didn’t read Deathly Hallows – assumed the whole world has either read the book or seen the movie by now). No, it’s time for others to try and step into the very large shoes. I don’t pretend to tell you my Darien is the guy to do it, after all, I’m no Jo Rowling. I can only add my contribution to amazingly long list of things directly impacted from what she created – the wonderful wizarding world of Harry Potter.